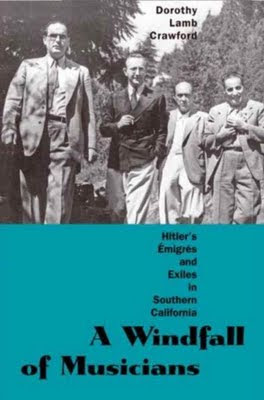 Last August I wrote a little about Dorothy Crawford's very interesting book A Windfall of Musicians, Hitler's Emigres and Exiles in Southern California. (Now $27.90 at Amazon.) I was moved by her description of Arnold Schoenberg's life here in the paradise of sunny SoCal. That post is called Schoenberg In Hell. 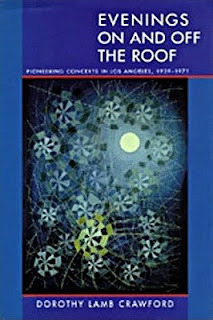 I've long since finished the book and then her previous one, Evenings On and Off the Roof, which describes the first thirty years or so of the concert series now known to us as Monday Evening Concerts. MEC was once widely regarded as the single most important venue for new music anywhere in the US. The combination of some of Europe's greatest musicians with two local music enthusiasts, Peter Yates and Lawrence Morton, turned L.A. into the bloodiest cutting-edge music scene anywhere for many years. 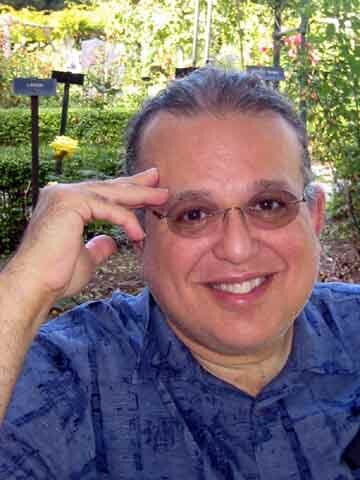 Of course not much is directly left of that brilliance these days, so many decades later, beyond the general notion that the best conductors and the best composers and best music all come from somewhere else. But remembering these events should be essential to anyone currently active in new music in Los Angeles. Her two books are important links to our past and they go a long way towards illuminating aspects of the current scene. Yesterday afternoon I learned by chance that Dorothy Crawford would be speaking that evening at the Los Angeles Central Library. They have an ongoing series called [aloud] where she would be in conversation with composer William Kraft, an essential part of the Los Angeles music community since 1955.
the largest musical migration in Western music history to one place, at one time, for one reason. Then she talks about her how she chose which musicians to include and how her two books relate to one another. But keep in mind that the Golia, LaBerge, Ocker trio actually improvised at the Monday Evening Concerts.